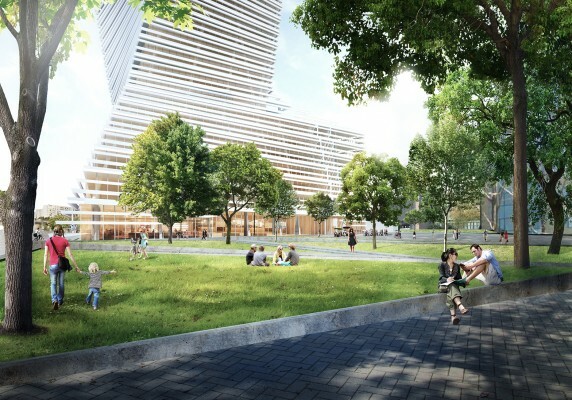 The proposal for The Twist - Budapest City Tower in the new central office district of Budapest offers new retail on the lower floors and premium office space above as well as breathtaking views of the city. 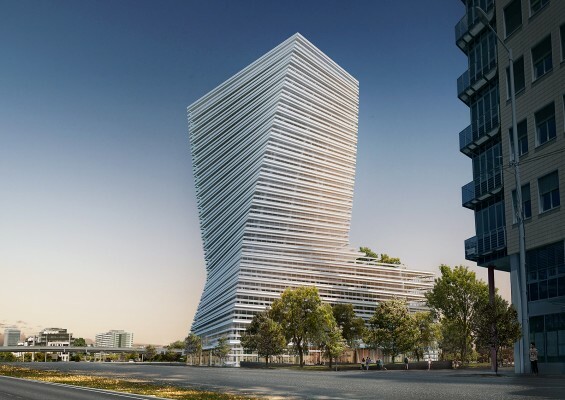 It sits on a site with a compact footprint and twists towards the top to offer a maximum distance to the adjacent police station and to allow for maximum sunlight in the square behind. The whole structure covers an area of approx. 140x70 m in plan and can be divided into two main parts: the tower and the base. 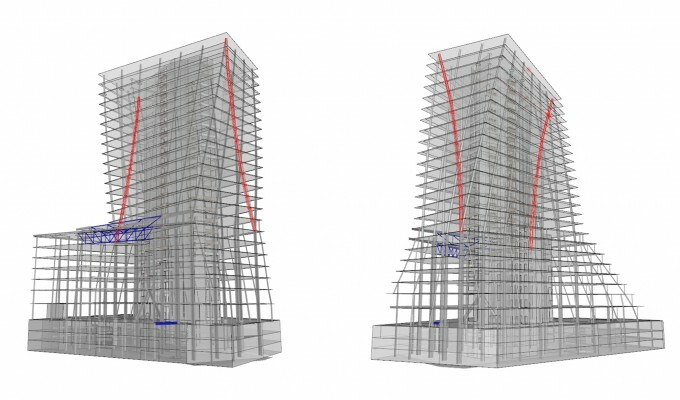 The tower itself can be categorized as a simple core system high-rise building, with perimeter columns and flat slabs. The perimeter of the tower narrows from the ground floor to the seventh level. On the eighth floor the slabs start to twist around the core with approx. 1.7° per level. 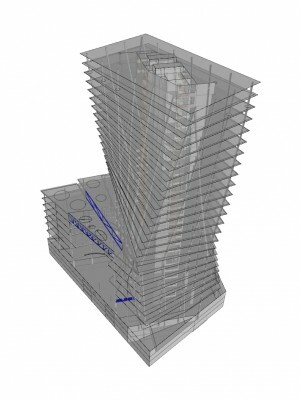 The parking garage below the tower is designed as a conventional flat slab system supported by columns and walls. Most structural components are designed in reinforced concrete and steel which transfer the vertical loads. The core acts as the main stiffening component for horizontal loads with some additional walls and inclined columns added for additional reinforcement.